Nepali consumers have more than one reason to shiver this winter. 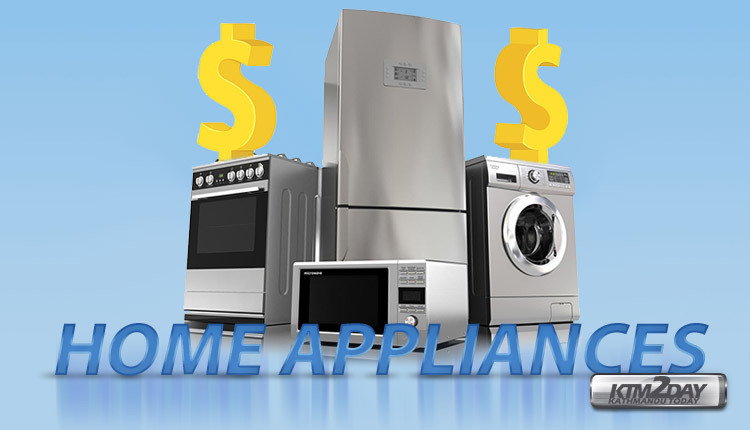 Winter electronic home appliances have become 10 percent dearer this year due to a stronger dollar, traders said. Demand for consumer electronic products like room heater, electric kettle and jug, gas geyser, thermos and hot pot has surged as winter has set in and there is regular electricity supply, said domestic home appliance dealers. According to the statistics of the Department of Customs, imports of consumer electronics were valued at Rs3.29 billion in the last fiscal year 2016-17. Traders expect sales of winter electronic appliances to swell 25-30 percent this year. Sales of winter electronic home appliances start increasing during the Dashain festival, and the trend lasts until mid-February. Domestic distributors of home appliances like CG, LG, Godrej, TCL and Home Glory said sales started rising in mid-October with a drop in temperature. They have launched new products featuring the latest power saving and environment friendly technologies to capitalise on the cold weather. CG Electronics has rolled out new electric geysers in the market. According to the company, they come in capacities of 5-15 litres. The company also deals in gas and halogen heaters, electric kettles and jugs, hot pots and thermos water bottles. Shailendra Jha, senior manager of CG Electronics who looks after TCL and Godrej products, said that demand for washing machines goes up during the winter season. Sales remain high from Dashain to mid-January. The company offers TCL and Godrej brand washing machines. Demand for washing machines is up 25-30 percent this year compared to last year, he said. Godrej washing machines cost between Rs27,000 and Rs64,000. According to Jha, prices have increased 10 percent this year. The country imported washing machines worth Rs528.8 million in the fiscal year 2017-18, as per the Customs Department. Imports from mid-July to mid-November this year were valued at Rs238.8 million. Home Glory sells heaters, electric kettles, gas geysers and other electronic appliances. Room heaters cost from Rs1,500 to Rs3,000, electric kettles Rs1,000 to Rs2,500 and gas geysers Rs7,000 to Rs8,000, according to size and model, said the company.